Last week, while walking across 23rd Street, I noticed a new addition to the Flatiron/Chelsea lunching landscape. Right next to Eataly, I spotted an enormous storefront window bearing the name Indikitch. After further examination, I learned that Indikitch would soon be open and I knew I had to check it out once it did. I decided to stop by during lunch and brought two coworkers along for the ride. 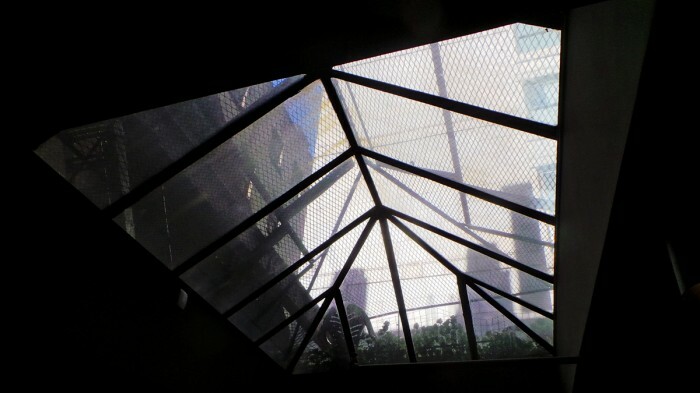 The space was really clean and large and even had lots of extra seating in an upstairs hideaway under a skylight. I know describing this place as Chipotle-esque might sounds like a putdown, but it’s not meant to be. I only mean that the method of choosing your food format then each fill-in is reminiscent of the style we have come to know and love at Chipotle. 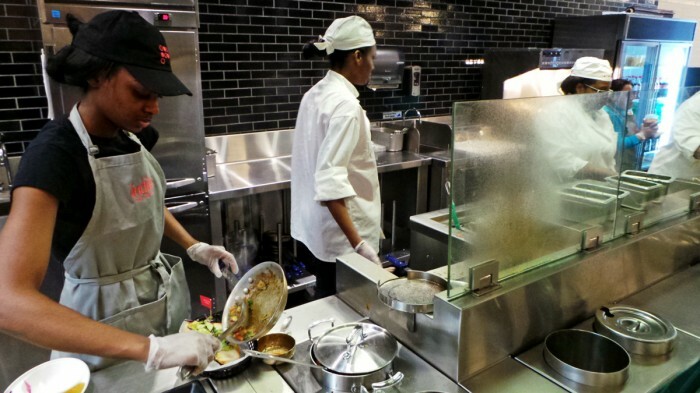 This fast-casual restaurant serves a number of Indian curries in four construction line formats. While waiting in the long, but quick snaking line I took the opportunity to look over the menu and make my selections. 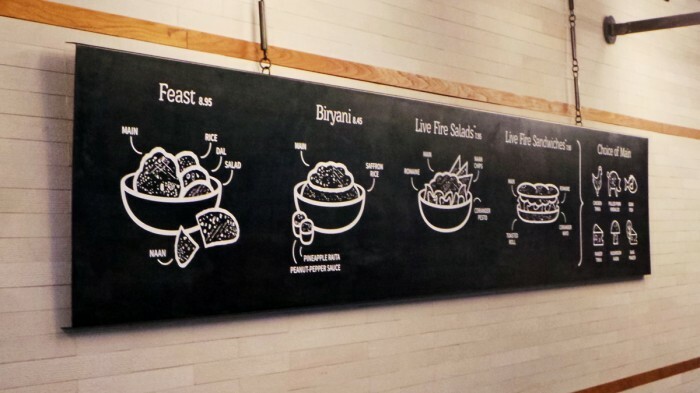 Customers are given the choice of a “Feast”, “Biryani”, “Live Fire™ Salad”, and “Live Fire™ Sandwich” then are prompted to choose a main topping. Basically, it’s a choice of platter, rice bowl, salad, or sandwich. For main toppings, you’ll be faced with six choices: Chicken Tikka, Pulled Pork Vindaloo, Goan Fish, Paneer Tikka, Mushroom Kadai, and Saag Paneer. There’s plenty of options, with enough meat and vegetable curries to satisfy both meat-eaters and vegetarians alike. 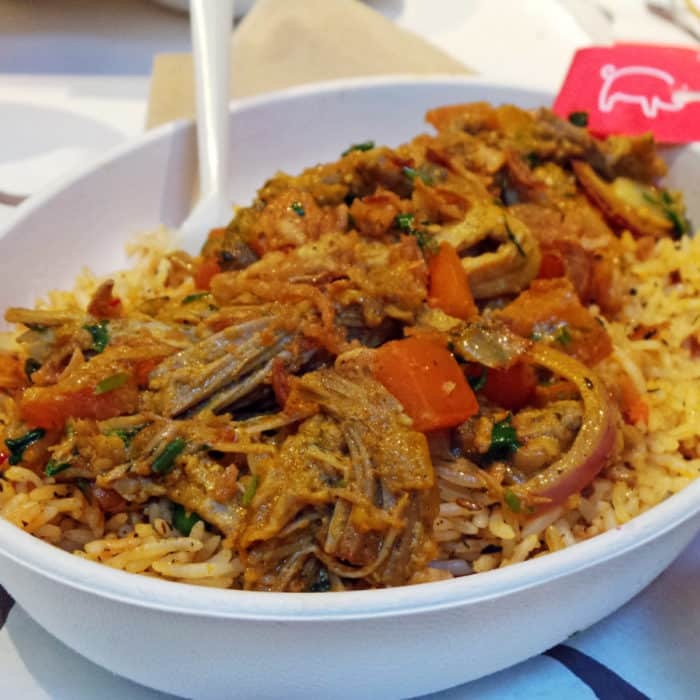 For my lunch, I selected the Pulled Pork Vindaloo Biryani Bowl. On their menu, it’s described as pork that’s been slow roasted for 6 hours in a tangy, fiery sauce and served in a saffron rice bowl drizzled with Raita yogurt sauce and a peanut-pepper dressing. What a mouthful! While ordering, I was asked if I wanted one-pepper or two-pepper spiciness and selected only one, just to stay on the safe side since I didn’t yet know how hot and authentic the food would be. I then watched as the cook quickly sautéed my pulled pork curry in a pan before pouring it over the saffron rice. From there, some additional Indian spices and toppings were sprinkled over top and I was also supplied an additional red hot sauce container on the side. At this point, my dining companions and I paid and brought our platters to the upper skylit dining area. I didn’t go into this meal really expecting great Indian food, but I’m happy to report than this dish was everything I could have hoped for and more. The flavors were very bold, complex, and authentic. The pulled pork was plentiful, moist, and tender and with the red hot sauce mixed it, this bowl was spicy! I probably could have handled the two-pepper spiciness, but definitely felt the heat I was hoping for with the one-pepper and the side sauce together. The platter was flavorful, filling, satisfying, and downright exciting. That’s pretty great for construction line style fast food at such a reasonable price point. Through my lunchtime experience, I’ve learned that everything about this place speaks to true quality and care. I think it’s really amazing that they fire every single person’s food in a sauté pan to order and can’t wait to return. 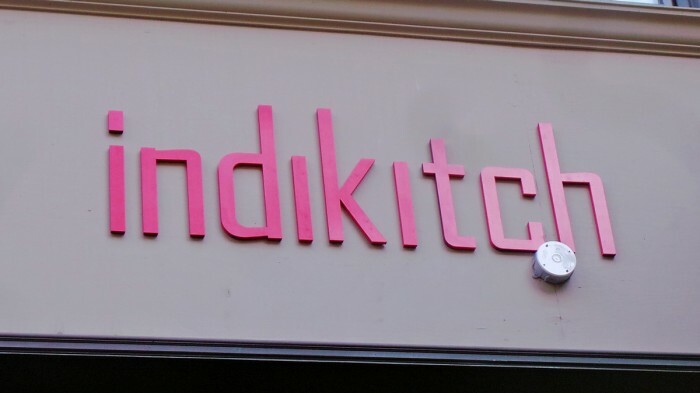 So, if you’re looking for something new to add to your Chelsea or Flatiron lunching repertoire, look no further than Indikitch. Their food is so much better and more authentic than it needs to be and I thank them dearly for it. 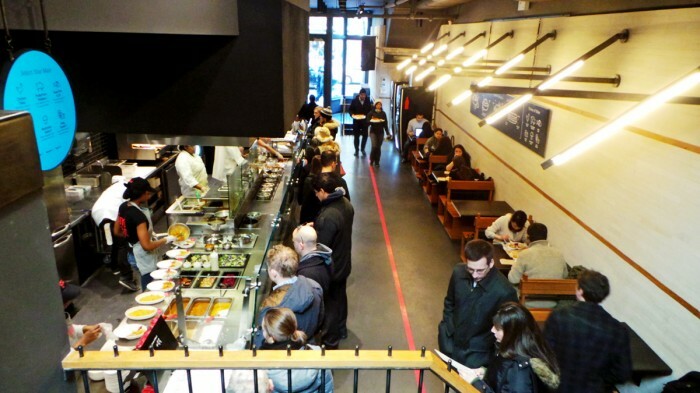 Know of another great construction-line style eatery in NYC I need to check out? Let me know in the comments below.